This is one of my favorite promises of all time! If God is for us, who can be against us. I feel like there is nothing that I can add to this amazing promise. The God who created the universe, the Omniscient, Omnipresent, Omnipotent Everlasting Father is on your side. He is for you! He has placed all of heaven's resources on your side simply because you are joined to Jesus Christ and are part of His family. In this orphan world system, many things will oppose us, but none of these things can possibly stand against our God and Father... for nothing will ever separate you from His love. Nothing! Death can't. Life can't. Angels can't. Demons can't. The present. The future. Nothing in all creation will ever separate you from the love that God has for you in Jesus Christ! 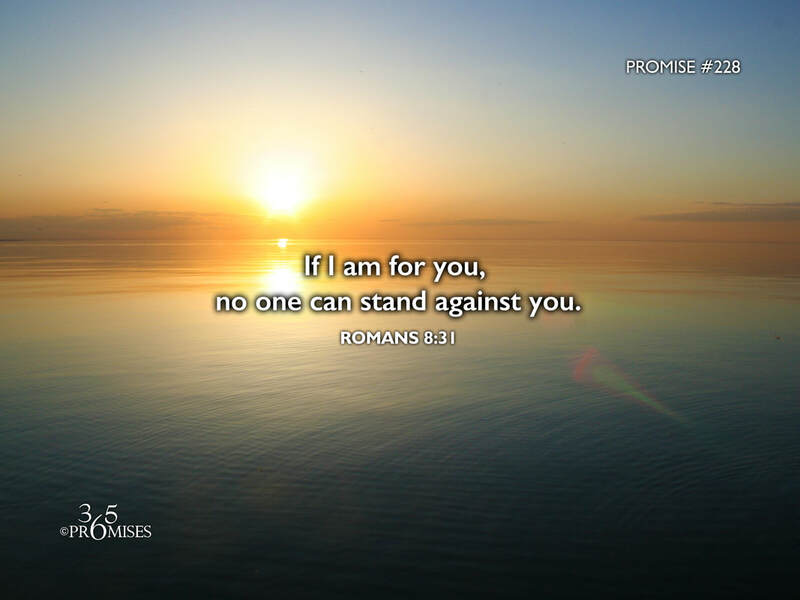 (Romans 8:35-39) God is for you, so no one can stand against you!